Jared Kushner, a senior White House advisor and son-in-law to U.S. President Donald Trump, is traveling through the Middle East this week reportedly to gauge support for an American attempt to strike a deal in the decades-long Israeli-Palestinian conflict. President Donald Trump’s senior Middle East adviser, son-in-law Jared Kushner, said Thursday that the Trump administration would unveil its much-awaited Mideast 'Deal of the Century' after Israeli elections on April 9. US President Donald Trump will meet with top advisers this week to review his administration’s Israeli-Palestinian peace plan and discuss the timing for its release, according to a television report on Sunday. The White House's peace plan entails intentions to unify the West Bank and the Gaza Strip, Jason Greenblatt, US President Donald Trump's special envoy to the Middle East, told Ynet on Tuesday. U.S. President Donald Trump's Special Envoy for Middle East Affairs Jason Greenblatt has spoken with a number of senators on both sides of the political aisle recently about the president's plan for peace between Israel and the Palestinians, Greenblatt tweeted Friday. Two months ago, the long-awaited release of the Trump administration’s ambitious plan for peace between Israelis and Palestinians, what the president has called the 'ultimate deal,' seemed imminent. House Democrats intend to unleash an avalanche of hearings, subpoenas, and investigations on the Trump Administration if they take control of the House in the November elections. In a dramatic move vastly expanding previously announced foreign aid cuts, the Trump administration has reportedly decided to end all funding to UNRWA, the international body’s agency responsible for Palestinian humanitarian assistance. US officials say the Trump administration is staffing up a Middle East policy team at the White House in anticipation of unveiling its long awaited but largely mysterious Israeli-Palestinian peace plan. 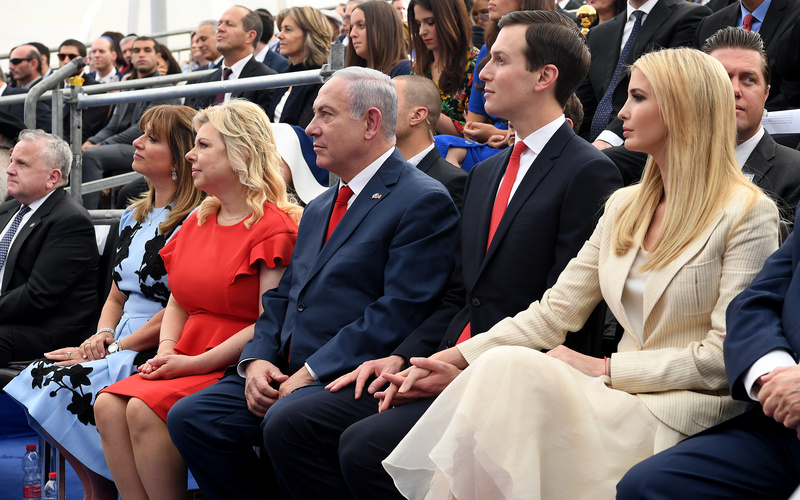 Senior Advisor to US President Donald Trump Jared Kushner, Top Negotiator Jason Greenblatt and US Ambassador to Israel David Friedman called on Hamas to stop terror, return Israeli prisoners to their families and, in exchange, receive aid to improve the situation in the Gaza Strip in a column published by the Washington Post Thursday night. Jared Kushner, a senior adviser to US President Donald Trump, said Washington would announce its Middle East peace plan soon, and press on with or without Palestinian president Mahmoud Abbas.